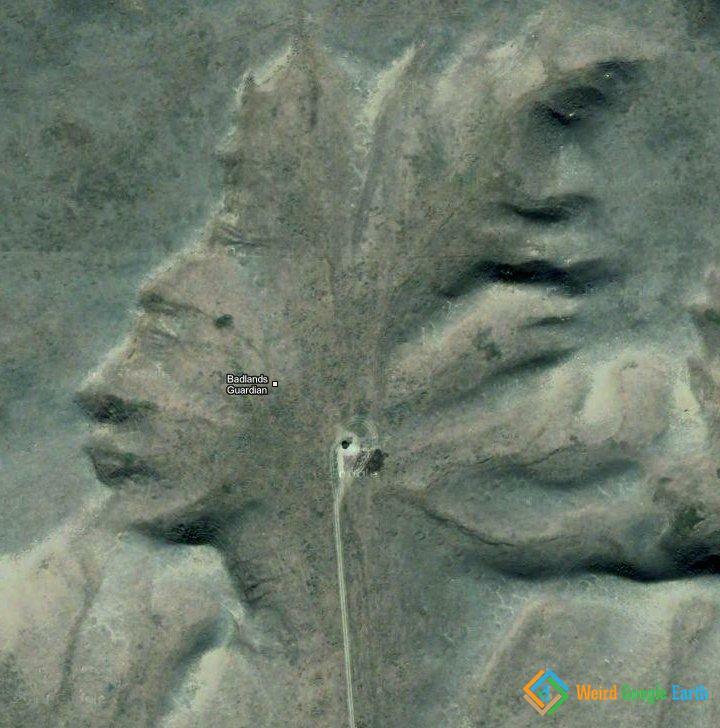 The Badlands Guardian, also known as “Indian Head”, is located near Medicine Hat, Alberta, Canada. It is a natural formation created through erosion of soft, clay-rich soil. Although it may appear convex, it is actually a concave formation. More info can be found here. There is also a friend of the Guardian, found within a couple of miles. There are actually 3 faces carved here. At co-ordinates 50.018219, -110.144464 there’s a guy with a helmet/hat AND if you spin him around there’s another face facing east.